It has been long overdue, but I finally finished the last book in Marissa Meyer’s Lunar Chronicles. 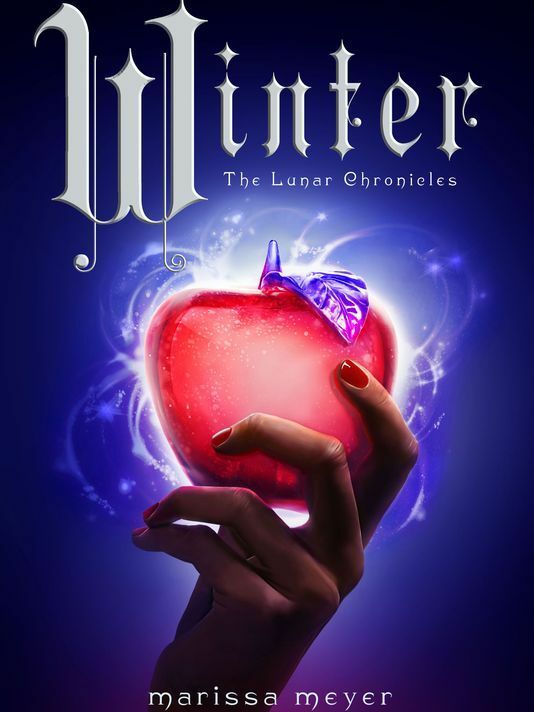 In this dystopian retelling of the classic fairytale Snow White, Meyer concludes the story of the cyborg Cinder and her attempts to reclaim her rightful place as queen of Luna. In Cress we were introduced to the Princess Winter, the stepdaughter of the evil queen Levana, the insane child of the late king who is going mad because she refuses to use her manipulative Lunar “gift” on her subjects. Winter is renowned in Luna for her unsurpassed beauty as well as her kindness. Her popularity among the people of Luna is a constant thorn in the side of Queen Levana. As Cinder and her entourage gradually close in on Levana and talk of revolution stirs in the streets, Levana’s wicked insanity peaks and she seeks to kill Winter, seeing her as an inevitable threat to her crown. Because Levana has a sadistic sense of humor, she commands Winter’s childhood best friend and sweetheart, Jacin Clay, to kill Winter. I guess the queen was crazy, but I wonder that she did not see this plan backfiring somehow. Jacin, of course, refuses to kill his beloved princess and with the help of Cress stages her death and helps her escape. Winter joins Cinder’s band of revolutionaries and becomes a figurehead in the growing revolution against Queen Levana. In the meantime Emperor Kai of Earth’s Eastern Commonwealth anticipates his marriage to Queen Levana and coronation as king of Luna. His character really shines in this book and it was nice to finally see him do more than simply twiddle his thumbs around his palace. The final battle is complicated and bloody as wolf mutants, Lunar citizens, mind-controlling Lunar thaumaturges, an android, and a cyborg go to bat against one another. For the first time Meyer shows how lethal and powerful Levana’s mind-control really is and yet her power is precariously balanced on her ability to maintain the illusion of her beauty. Scarlet was never a favorite character of mine, but in this book she started to grow on me. In Cress Wolf mostly sulked and sat around when Scarlet was kidnapped by Levana's head thaumaturge. When the roles are reversed, Scarlet is remiss to be separated from Wolf but she does not waste time sitting around and moping. [Spoilers alert!] With the help of Princess Winter, Scarlet spearheads the revolution and even continues resolved and undeterred when she catches the deadly letumosis plague. One of my favorite scenes is when Scarlet and Winter elicit the help of Levana's wolf-mutants and Scarlet explains how she's the "alpha" of one of Levana's special ops. Thorne scoffed. “Careful is my middle name. Right after Suave and Daring.” “Do you even know what you're saying half the time?” asked Cinder. Thorne is my favorite. He was his hysterical, charming, heroic, witty, and honorable best self this entire book. Thorne glared at him. “Whatever, Doctor. It’s just, when Cress thought she was in love with me, she was actually in love with this other guy she’d made up in her head, who was brave and selfless and stuff. I mean, he was a real catch, so who could blame her? Even I liked that guy. I kind of wish I was that guy.” He shrugged. And he is also the man head-over-heels in love with a petite Lunar shell and hacker extraordinaire. The last epic showdown with Levana was gut-wrenching and the complexities of mind-control only served to make the battle even more complicated and messy. I won't give away any spoilers, but I was impressed and delighted with the immensely heroic endeavors of all the characters. If you have read The Lunar Chronicles, which book was your favorite? Favorite character? I would love to hear your input on this series! Feel free to leave a comment below or email me at jehovahreigns@gmail.com. Now, to get back to normal life and sleep...sleep sounds nice.